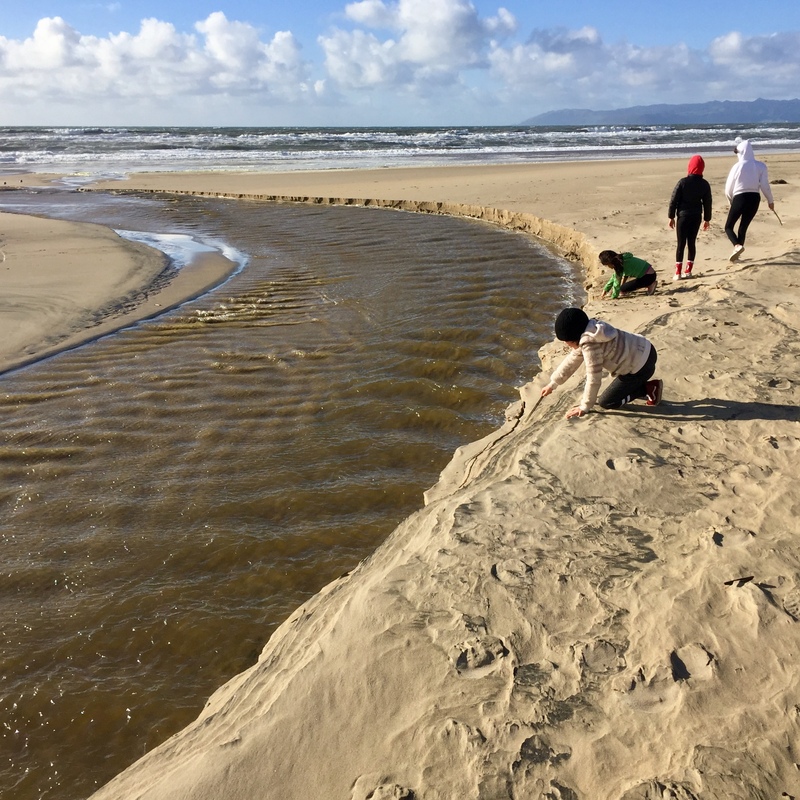 Spring break, four-day weekends, and summer vacation can be a jigsaw puzzle of moving pieces when kids are in the picture — a scramble to create memories and time away from the norm. For a long weekend last month, my family’s goal was to visit the snow. We also invited our youngest daughter’s cousin from Ventura, and our other daughter’s 15-year-old friend, who rode the train solo up from Los Angeles under Amtrak’s unaccompanied minors policy. 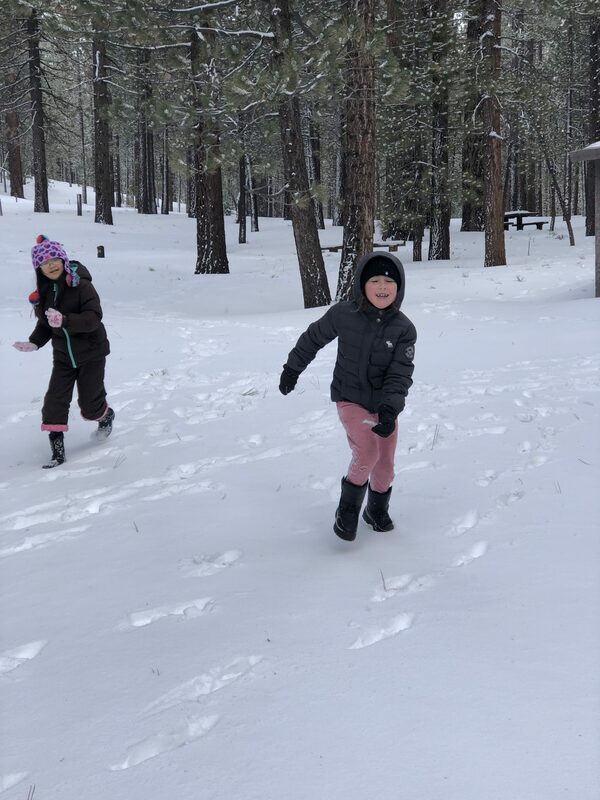 Since we hadn’t planned our trip well in advance, we quickly discovered that most of the rooms around snowy Big Bear were booked. So we switched our destination to Sequoia National Park (visitsequoia.com) — 230 miles from Santa Barbara — figuring we could play in the snow and, better yet, see the world’s largest trees, including General Sherman, the giant redwood that measures 275 feet tall, with a base diameter of 36 feet. We booked a room overlooking the Kaweah River. As the weekend approached, my more practical better half checked the weather. Bad news: The road to the forest of the giants was closed because of snow. Feeling discouraged but not defeated — with our youngest already packed, two days before departure — we changed plans again, aiming for Frazier Park and Mount Pinos, about a two hour drive from home. The mountains were stunning, with new snow billowy and bright-white, and the sledding was DIY — just turn off the road and hike a nearby slope. After a few hours of snow play (and a lot of teen selfies), we checked in to the Holiday Inn (ihg.com) in nearby Lebec, right off the I-5. The rooms were clean, fairly priced, and pet-friendly and include free breakfast. Back in Frazier Park, we had a dinner of tomato soup, specialty burgers, grilled cheese, and in-house root beer at Black Coffee Draft House (blackcoffeedrafthouse.com). Highly recommended and a nice warm way to end the day. It was snowing in Lebec the next morning as we set out west on Highway 166, a long and empty route surrounded by citrus orchards. Through a brief hailstorm we took the road into Carrizo Plain National Monument (blm.gov) until it turned into a dirt washboard and did some drive-by birdwatching before resuming our westward mission. We emerged from snow and cold rain through the wide-open Cuyama Valley, heading toward the Pacific Ocean at Guadalupe-Nipomo Dunes (dunescenter.org), about a two-hour drive from our morning snow. 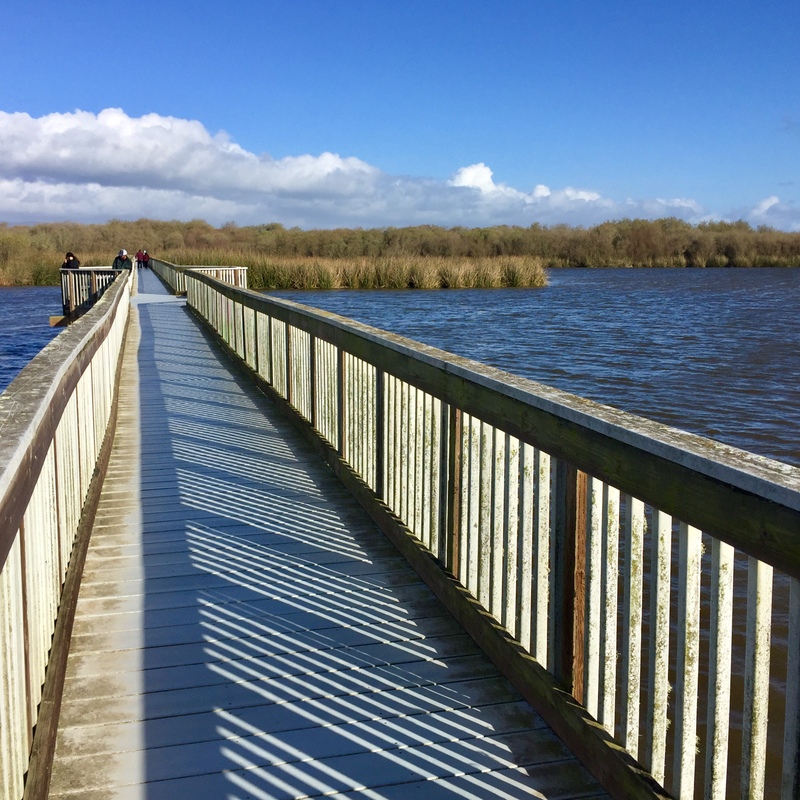 We parked at the California State Park entrance at the end of Oso Flaco Lake Road and walked in, crossing the reed-lined lake on a long wooden footbridge and greeted by the ocean with bright-blue skies, moving clouds, and 30-knot winds. It’s a wild coast — just 70 miles from downtown Santa Barbara — and well worth the trip. From snow to sand, we had overcome a few obstacles and made a sweet adventure with many inspiring surprises — all in our own backyard.